Water Fun Fest 2019, organised by the Jockey Club Water Initiative on Sustainability and Engagement (JC-WISE), will take place at Ocean Park from April 19 to May 1. Augmented Reality exhibit, AR Sandbox, together with educational videos and exhibitions, will be held. Water Fun Fests aims to engage the general public on the issues of water sustainability and to promote the significance of water conservation in an interesting way through a wide range of infotainment exhibitions and interactive games. The “Children of 1997” birth cohort research team led by Professor Gabriel Leung, Dean of Li Ka Shing Faculty of Medicine, and Dr C Mary Schooling, Associate Professor of School of Public Health, found that exclusive breastfeeding in early infancy promoted a healthier lipid profile, specifically lower low density lipoprotein (LDL)-cholesterol (the “bad” cholesterol associated with heart disease), in late adolescence. A total of 3,265 participants had lipids measured at about 17.5 years of age. The research team found that exclusive breastfeeding for the first three months was associated with lower LDL-cholesterol at about 17.5 years, regardless of body mass index and fat percentage and suggested that breastfeeding was potentially important in cardiovascular disease prevention by promoting lower cholesterol for the population as a whole. This study provides evidence supportive of public health policies to increase the duration and exclusivity of breastfeeding. 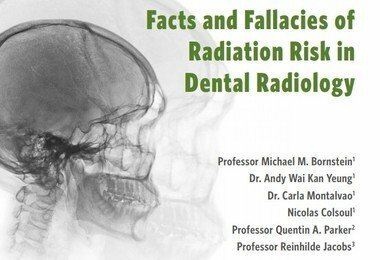 A team of HKU Faculty of Dentistry led by Professor Michael Bornstein and international collaborators have prepared an information booklet for the public to foster a better understanding of radiation risk in dental radiology. The booklet explains the basic knowledge and tackles the common myths in lay terminology with illustrations. It is available in three versions: English, traditional Chinese, and simplified Chinese. Not only dental patients, but also members of the public are often unsure if the X-ray tests they take during regular dental check-ups are harmful to health or not, and if there are any suitable measures to reduce risks of radiation. The booklet serves as a timely reference for the public and elaborates on this topic of broad interest in the format of popular science. Answers to frequently asked questions such as how children, pregnant women, and the elderly are considered differently in terms of radiation dose protection, or why the patient stays alone in the room when taking X-rays, can be found in the publication. 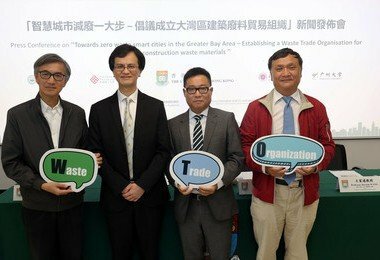 A research team led by HKU Department of Real Estate and Construction Associate Professor Dr Wilson Lu and comprising experts from HK and Mainland universities, has proposed forming a Waste Trade Organisation (WTO) in the Greater Bay Area (GBA) to trade and share construction waste materials to achieve zero waste in the long term. The team’s preliminary recommendations including establishing a GBA-level information sharing platform to allow real time construction waste demand and supply exchange, using ‘green labels’ to qualify construction waste as sharable, and using policy options such as taxation and subsidy to encourage cross-region sharing. 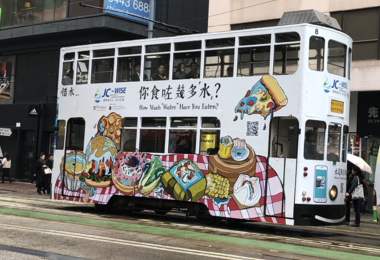 The Jockey Club Water Initiative on Sustainability and Engagement (JC-WISE) has launched the ‘Water WISE Tram’, a theme tramcar decorated with knowledge of Water Footprint and highlights of multiple functions and values of Hong Kong’s rivers. Water WISE Tram will travel through the heartland of Hong Kong with high visibility from March 22 to April 18, 2019, celebrating the annual World Water Day (March 22) and raising public's awareness of the importance of water conservation and sustainability through promulgating the concept of Water Footprint and re-connecting us with our rivers. 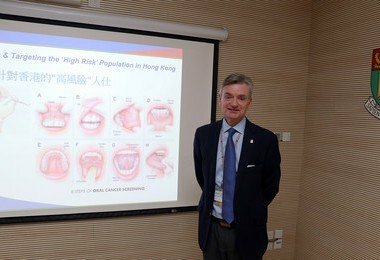 A research team of HKU Faculty of Dentistry led by Professor Peter Thomson has been working to improve understanding of the cause and development of mouth cancer, to identify the population in Hong Kong most at risk, and to apply effective primary, secondary and tertiary preventive strategies to target disease at the earliest possible stage, and to facilitate minimal interventional treatment. Professor Thomson said many mouth cancer patients are diagnosed only when the disease is advanced and incurable. However, early suspicious signs of cancer or pre-cancer change, including non-healing mouth ulcers, red and white mucosal patches and unexplained swellings within the mouth or in the neck, could easily be detected by a dental professional during standard oral examination. 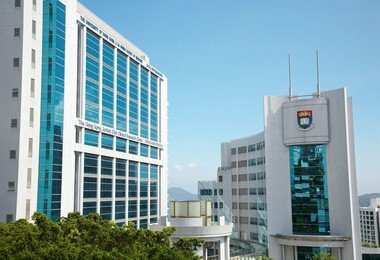 According to the government’s statistics, less than half of HongKongers had regular dental check-ups and fewer than 37% of those in the high risk group aged 45 or above visit their dentists regularly. The strategies that prevention really is better than cure when it comes to halting the progress of this life-threatening oral disorder are confirmed in Professor Thomson’s new book “Oral Cancer – From Prevention to Intervention “. 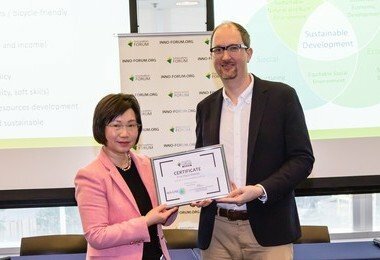 Lifespans, a start-up company formed by HKU professors and alumni, won at the Hong Kong Finals of IMAGINE IF! 2018-19 and will participate in the Global Final of IMAGINE IF! at the “Health Horizons - Future Healthcare Forum” from June 26 to 27 in Cambridge, UK. Lifespans develops proprietary technologies that make orthopaedic implants safer and more effective when treating fractured hips, shoulders, and spines in elderly patients. Its products are undergoing final safety testing and are expected to be available to hospitals in the second quarter of 2019.